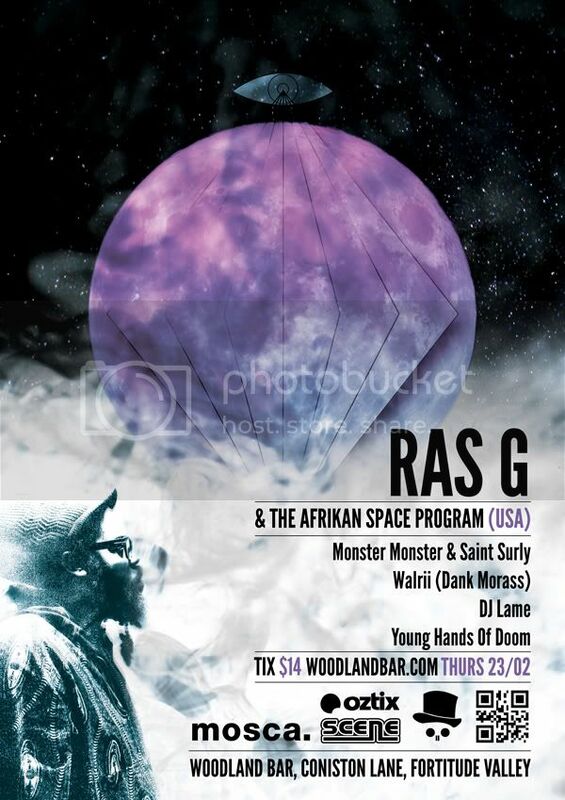 After the Dank Morass event featuring the inter-stella performance by Ras G in 2010, the man reaches our shores once again. This time brought to Brisbane by new promo crew mosca on the back of the Blunted tour. This is not one to miss out on. Walrii from Dank Morass in support with some deep dubs.